Why post my thoughts on Open Corporate Innovation from tech event notes? Well, maybe it’s because I do most of my network recon at tech events? Maybe it’s because I’ve met and connected with over 500 senior innovators from many of the largest companies on the planet at local Silicon Valley tech events. Make sense? Regardless, I’ve been very fortunate to have gained a great deal of insider perspective on the rapidly developing corporate innovation ecosystem in Silicon Valley. What I’ve found is not surprising, as many very large companies and industries are facing the most daunting challenges brought on by a relentless pace of venture investment and new developments coming out of Silicon Valley. The concept of open innovation is not new. Henry Chesbrough and Steve Blank have been leading the ‘innovation revolution’ for many years with perhaps only moderate attention being paid by the mainstream. However, over the past year or so, I’ve noticed an explosion of activity and I think it’s safe to say the concept of open innovation has pretty much reached the mainstream in corporate lexicon. And with the the opening of new ‘innovation outposts’ having reached a feverish pace, this trend will only increase the demand for and the value provided by the many newly developing innovation channels. (I’ll go out on a limb and define ‘innovation channel’ to mean the value-add bridge between startups and large enterprises). Startup methods will surely continue to disrupt the status quo in the corporate world, and for some time to come. From what I can tell, open innovation has become a more significant if not mandatory budget item in business plans in virtually every industry around the world. And guess what? Silicon Valley seems to be the primary benefactor of all this attention as almost every large company, every government and almost every university has some sort of effort underway to tap into the ecosystem. As such, many models have been developed and many more models are under development as the current feeding frenzy of open innovation appears to have some real legs. The interesting thing to me is that there are no standards for how large organizations should attack this opportunity and lots of investigation is underway to find what will work best. Activities such as setting up an innovation outpost or ‘lab’, assigning a ‘chief innovation officer’, setting up an office in one of the co-working spaces, hosting a corporate hackathon, setting up a corporate venture arm, etc. are all on the table as many organizations are challenged to find the ideal mix of activities to implement. The one common undercurrent that all seem to share is FOMO (fear of missing out), or worst case, outright obsolescence of an existing and very profitable business model. So what’s a CxO to do? Which new business or innovation model will work best in our industry? For our company? Whom should we partner with, invest in or acquire? Can we or should we integrate into our existing business processes? Or should we start or create a new one? How best to blend corporate venture, R&D, corporate innovation and our autonomous profit centers? How to engender startup/entrepreneurial culture or spirit into our company? How are we going to compete with Google, Facebook or even Snap to hire the best talent coming out of university? How could we have foreseen the impact that Amazon would have on the brick and mortar retail business? 650 Labs: 650 has designed a pop up innovation lab/workshop for corporate executives who need a quick but comprehensive primer in how to innovate utilizing Silicon Valley methods. Brand Garage: How should brands adopt and integrate startup companies and technologies into their lines of business? Brand Garage attempts to answer this critical question through a combination of corporate hackathons and and immersive event platform and services designed to bridge startups and corporate innovation programs. Steve Blank: Steve is one of the pioneers in taking a disruptive approach to business having effectively created the Lean Startup culture and methodology with Eric Reis. His program involves working along side senior executives and corporate board members to educate, design, model and execute on very specific ideas that help define the future of their respective businesses and companies. GSVlabs: GSVlabs, a global incubator has taken a next gen approach to building a very specialized, results-oriented corporate innovation program in working with a few very large corporate partners to design and execute on new business model blueprint. RocketSpace: A well known pioneer in the Silicon Valley coworking space, RocketSpace has evolved with a highly regarded membership-based corporate innovation program with regular member meetings, dedicated topical workshops, reports, startup match-making and accelerator program partnerships like Alchemist Accelerator. Synapse Partners: Synapse is a specialist VC firm that invests in big data intelligent applications and advises corporations on how to employ startup innovations to address strategic problems. The firm is led by one of the most sought after speakers on the topic of open innovation, Evangelos Simoudis. His blog is one of the best ‘go to’ sources for insight. FaberNovel//PARISOMA: FaberNovel’s innovation agency program was born out of Rebellion Labs and offers a basket of services to help large organizations redefine their innovation strategy and execute with additional services to actually implement a new digital product roadmap. NewCo Shift: John Battelle’s new media property involves identifying, supporting, developing and promoting individuals, companies, and other organizations that have a higher purpose than simply making money. Through a program of events, workshops, media and education, NewCo Shift seeks to benefit society in ways that are diverse and forward thinking. Their platform is somewhat experimental but charting a new path for more inclusive innovation channels. Companies that seek a broader appeal in a social good realm should take note. Accenture Open Innovation Labs: Accenture has evolved its Silicon Valley tech labs to include many local accelerators, VCs, corporate R&D labs and universities to bring a truly comprehensive approach to open innovation. Despite being one of the largest IT innovation consultancies on the planet, Accenture brings a a very rapid, agile approach in partnering with best of breed partners for existing and new clients. Silicon Foundry: Silicon Foundry scours the extended startup ecosystem to bring the best of startups to their corporate clients in a relaxed, private setting. Their member-only program seeks to focus on attracting the highest caliber startups through their own filtering process, and sharing insight with select corporate partners. Sandy Carter: (Update! Sandy has taken on a new role with Amazon Web Services as Vice President and moved with her lovely family to Seattle) Sandy Carter has just published her new book entitled “Extreme Innovation” and offers workshops and consulting services that enable companies to work along side a very seasoned and accomplished business leader. Sandy spent many years running a multi-billion dollar business unit for IBM and has called Silicon Valley home for much of her career. She has cut a rather striking presence in the Valley as a sought after speaker on women in technology. AugmentedReality.org/Super Ventures: This is a very unique group that is solely focused on bringing the benefits of augmented reality into the real world with a very focused approach on identifying and developing the best the global AR community has to offer. Any company pursuing a strategy that includes AR should contact Ori Inbar and/or attend one of his events, Augmented World Expo or monthly ARBA Meetups. GrowthX: GrowthX offers a boutique innovation service for corporates that custom-tailors programs based on a very deep and intimate knowledge of your company and industry. Their unique approach appears to stand apart from many of the other programs that are more general in nature. Garwood Center for Corporate Innovation: Garwood Center is the brainchild of none other than the father of open corporate innovation, Professor Henry Chesbrough and managed/administered out of the UC Berkeley Haas business school. He is the author of numerous books dating back to 1999 on the subject and has largely built the foundation for open innovation that all programs are modeled after. Garwood offers immersive executive programs and hosts periodic events including the prestigious World Open Innovation Conference. Connection Silicon Valley: Connection Silicon Valley is an innovation strategist hosting many of Canada’s largest companies into customized programs to direct and support digital transformation efforts. Their service offering includes innovation immersion and connecting to the best of Silicon Valley startups, VCs, and other innovation channel programs like executive education, corporate or boutique innovation labs and other partners to help round out the value chain for mid-size corporates. Crowd Companies: Crowd Companies is a membership-based community of corporates that seek to learn from the newest and most successful new business model innovations coming out of Silicon Valley. Their program, designed by Forrester and Altimeter Group alum Jeremiah Owyang, is rapidly evolving to be one of the ‘go to’ sources of cutting edge insight into how the new technologies and business models will affect their companies. Mind the Bridge: Mind the Bridge comes from Europe and has established a very significant presence in Silicon Valley. They offer a number of programs, education, workshops and events that enable corporates from around the globe to leverage the Silicon Valley ecosystem for partnerships, investment, matchmaking and education. Recorp: Recorp stems from one of the original co-founders of Startup Weekend and has turned it sights toward developing a repeatable ‘Innovation as a Platform’ transformation service (my words, not theirs). To have this aim is a lofty one as there does not appear to be any standardized methods that have emerged as the model for success. Pilot44 Labs: Pilot44 Labs was largely spawned from Proctor & Gamble’s Open Innovation program, which has been around for upwards of 15 years and one of the industry’s most well-developed. Their service offering includes designing and executing complex pilots that can often derail startup-enterprise collaboration efforts. 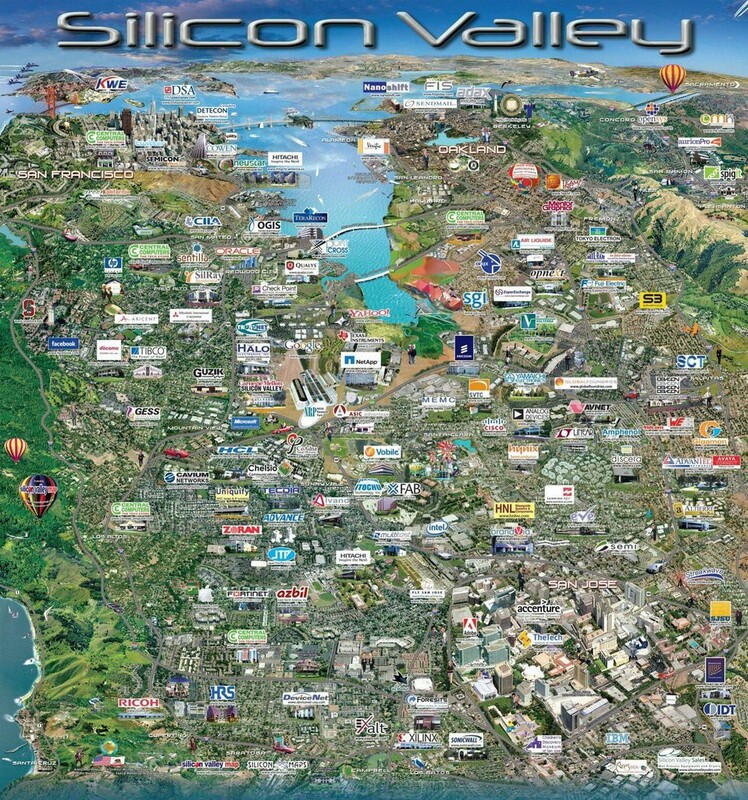 Silicon Valley Innovation Center: SVIC offers education programs, immersion tours, workshops, events and custom designed programs for corporates and other large organizations to leverage the Silicon Valley innovation ecosystem. Lean Startup: Lean Startup offers a new methodology for large organizations, especially corporates, to adopt a more lean approach to innovation that can be applied throughout your organization. They host workshops, meetups, along with a few large global conferences to help spread the Lean Startup gospel. Their education programs offer companies a tailored approach to implementing Lean Startup principles in your department, business unit or company. Not convinced? Ask General Electric. Transformation Group: Transformation Group includes futurists Robert Scoble and Shel Israel and helps organizations make sense out of some of the newest mixed reality (AR and VR) developments. Their recently released book “The Fourth Transformation” is a must read for anyone interested in understanding what the future holds for AR and VR. Runway: Runway offers programs for corporates looking to tap into the Silicon Valley ecosystem with workshops, startup matchmaking, events and custom tailored services. Institute for the Future: IFFT also offers research services and brings many cutting edge approaches to drive meaningful change with far reaching implications. SRI International: SRI International is another long standing Silicon Valley research organization with a full complement of services to spearhead innovation for all types of organizations. PARC: No discussion of innovation in Silicon Valley would be complete without mentioning PARC, Xerox’s long standing research labs that effectively pioneered the personal computer, Ethernet, GUIs and hypertext. They offer a very rich set of services from R&D, technology development, IP development in many of the newest subject matter areas. StartX: One of the most highly rated startup incubator/accelerator programs, StartX draws on a very unique partnership with Stanford University and developing a more rounded corporate program. For now, they enjoy a fairly robust pipeline of interest from large companies and institutions around the world that are chomping at the bit to work with their network of startups and entrepreneurs in the program. Singularity University Innovation Exchange: Roughly three years ago, Singularity University started their Corporate Innovation Exchange to build on their success as a startup incubator and education channel for entrepreneurs. Since that time, they’ve formalized a number of high value programs that include startup matching, immersion tours, workshops, business model development, corporate accelerators and much more. Before Alpha: Before Alpha is a relatively new entrant on the Silicon Valley boutique innovation consulting landscape. Drawing on the collective wisdom and experience of a very seasoned and visionary team. They’re developed a very comprehensive suite of offerings for large companies including startup matching, workshops, trendcasting, pilots, digital business transformation as a trusted innovation partner. Before Alpha should be on any company’s short list for consideration. Explora International: Explora International offers an immersive program for mid-size companies and government organizations seeking to tap into the Silicon Valley innovation ecosystem. It doesn’t hurt that their co-founder, Michelle Messina, has written a book on the subject called “Decoding Silicon Valley”. Plug and Play: Plug and Play has created a well rounded startup ecosystem that bridges corporates into their startup incubator, demo events, programs and outreach efforts. >Angel List: Angel List deserves special mention, not just as a very interesting alternative to traditional VC funding sources, but moreso as a community that serves both entrepreneurs and investors alike. Their platform is open to all who seek to join and leverage all the richness that the Silicon Valley ecosystem has to offer. And last but certainly not least, please hit me up directly if you have any questions or feedback. I can be found here or there.